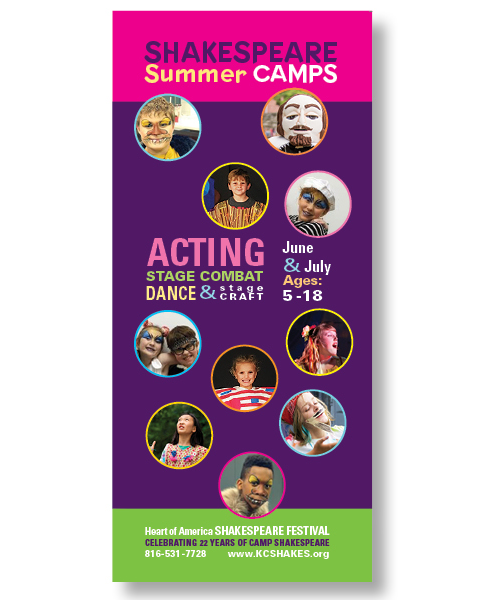 The Heart of America Shakespeare Festival is a non-profit arts organization. 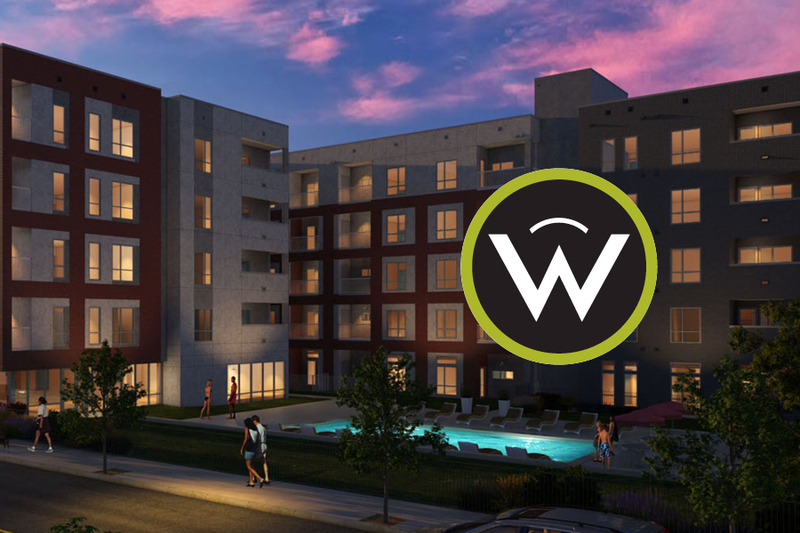 Its mission is to make Shakespeare’s works accessible to a diverse audience through free, professional theatre and educational programs. 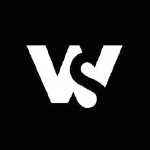 Each year, the organization looks to increase audience engagement, diversify its partner sponsorship and convey that the performances are free and fun for all ages. 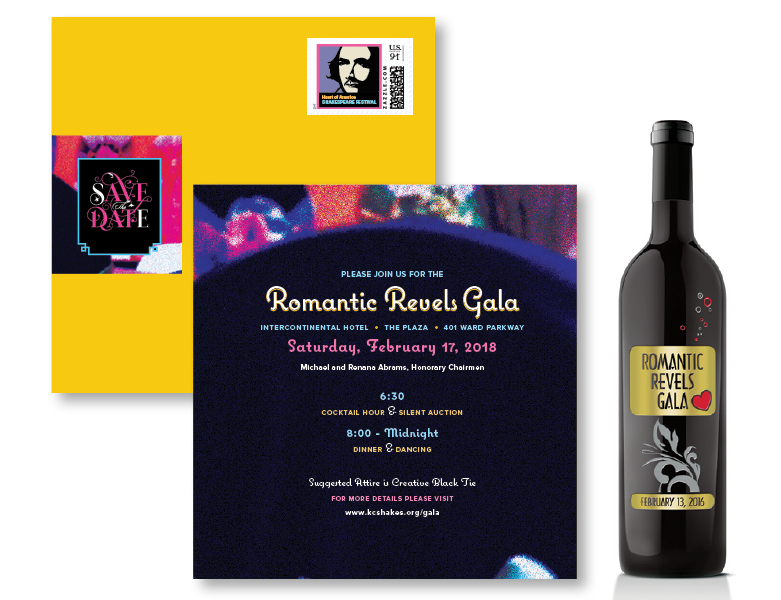 Fundraising materials for the annual Gala and Good Will Society. 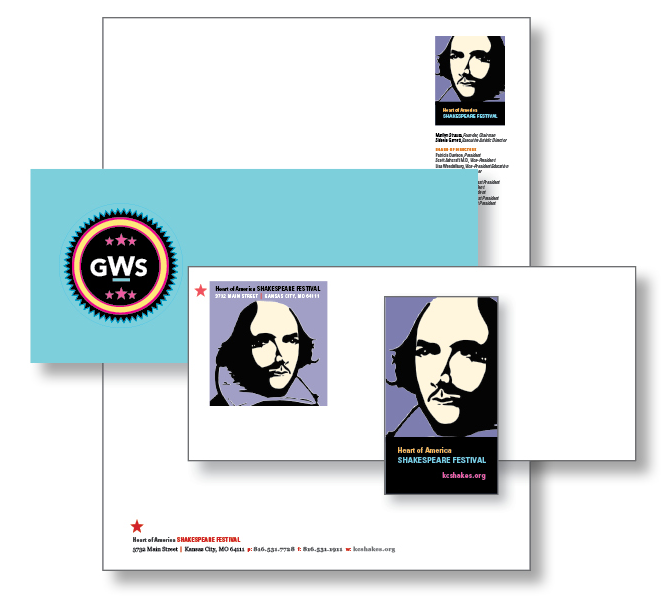 Collateral to promote Shakespeare summer camps. 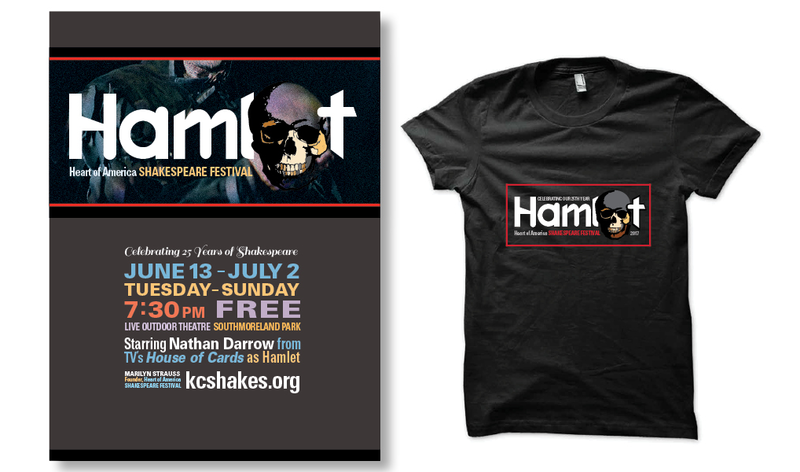 Marketing materials & souvenirs to promote 2017 Summer Festival performance of Hamlet.